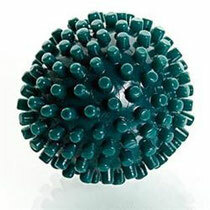 The best and most useful massage "stuff" on earth...... I will put things here from time to time that I think you might be interested in and that can help you develop your touch and massage skills. I will also include some self care tools. As always, if you have any suggestions, please send them to me! Also, let me know about your experiences with any of the suggestions here. Use the links in the menu above to see the different categories of Massage Tools and Self Care resources. 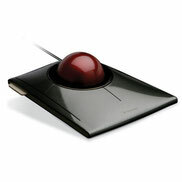 This is a great alternative to your standard mouse and can significantly help you reduce repetitive stress trauma and injuries. The slim, low-profile, ambidextrous design provides all-day comfort while the advanced dual laser sensors and large ball deliver exceptional precision. For even greater productivity, the four programmable buttons can be set to the functions or keyboard shortcuts you use most with our TrackballWorks software. I absolutely love this device! 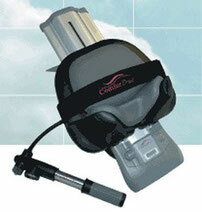 The ComforTrac Cervical Traction Device allows users to receive the benefits of cervical traction at home in a relaxed setting and position at a 10°, 15°, or 20° angle. A calibrated gauge provides feedback to the user as well as consistency in treatment. Applies up to 50 lbs. of traction (but please be careful and check with your health care provider on how much pressure you should use). OK, first of all, I need to say that for most of you, tennis balls (or any air filled ball) is not going to do the job. They just compress too much and can not provide a therapeutic level of pressure (in my humble, limited and biased opinion). You need tools that are sturdy and dense to provide the pressure that your muscles and tendons need and your nervous system is craving! This little ball is perfect for working out the sole and arch of your foot and you can always find at least one of these under my desk. It is around $6 on Amazon and shipping is free for Prime Members. I usually have a couple available at my practice as well. This is another great tool for taking care of your feet. It is not as portable as the Foot Rubz, but for some people it is a little gentler on the foot because it disperses the pressure more evenly across the foot and it is not as rigid. The TheraBand Foot Roller helps relieve foot pain, especially plantar fasciitis pain. It is a simple, effective tool that provides temporary relief from the discomfort associated with excessive activity and many common foot conditions. Its ridges deliver a therapeutic foot massage, and its 1.5" diameter shape is ideal for stretching the plantar fascia and toes to increase flexibility. The natural latex material flexes, even when chilled, to conform to the shape of your foot and deliver a custom massage. Remember when I said that some of these are industrial grade? Well this baby is defeintely industrial grade...and I love it. So do a lot of the athletes that I work with. The revolutionary new R8 Recovery Roller will keep your legs fresh, healthy and recovered. 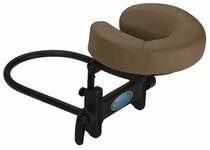 Great for the quads, hamstrings, IT-bands, gluteus, calfs, shins, hip-flexors and more. You can learn more on the company website and you can purchase directly from Amazon as well. Company Information: Muscle and therapist friendly! This easy-to-use self-massage tool features a foam cover that spins smoothly to deliver a consistent distribution of pressure and help accelerate muscle recovery. Saves fingers and hands from fatigue. Closed-cell, non-porous, zero latex, zero rubber, non-deteriorating foam is easy to clean with an antibacterial gel/spray. Take it anywhere - tiger tails are portable and easy-to-pack. Firm design won't bend! Apply as little or as much pressure as needed. My Thoughts: These are great for "rolling out" large muscle groups on yourself or on your partner. I would consider them industrial grade and only for the person that wants some pretty deep work. Remember though, just like the foam roller, don't work against your partner. If they are contracting the muscle because it hurts too much, you are probably doing more harm then good.